President Erdoğan Has Confessed; "the Hearts Are Desertificated!" ›President Erdoğan has confessed; "The hearts are desertificated!" "Buildings have risen but unfortunately we have not fully succeeded in avoiding hearts from desertification," he said. 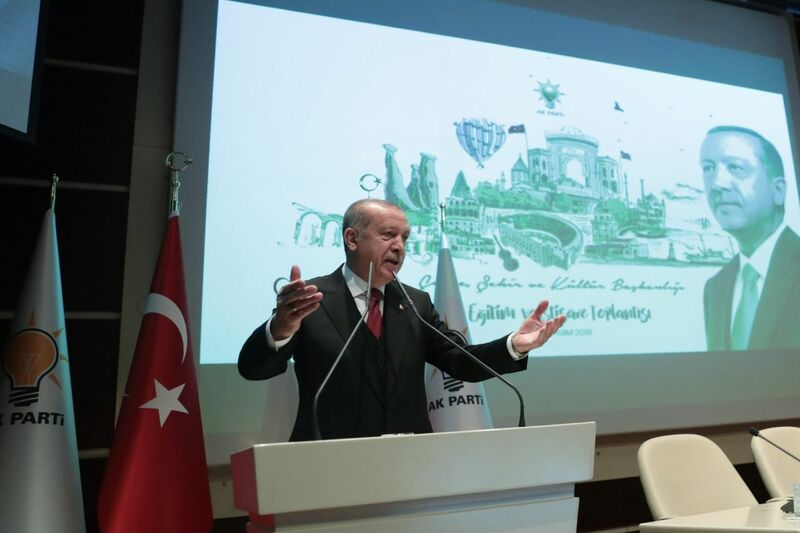 In his speech at the Environment and Culture Presidency Education and Consultation Meeting, within the scope of World Urbanism Day, President Erdoğan said, Buildings have risen, roads have grown, vehicles have modernized, infrastructures have developed, but our hearts have become deserted, and darkened. In the past 16 years, we have implemented many services in order to improve the quality of life of our people, but unfortunately we have not succeeded in preventing this heart wasting." he said. President of Turkey and the AKP Chairman Recep Tayyip Erdogan participated in the Context of World Town Planning Day Environment City and Culture Directorate of Training and Consultation Meeting. Speaking at the meeting held at the AKP Headquarters, Erdoğan said, Buildings have risen, roads have grown, vehicles have modernized, infrastructures have developed, but our hearts have become deserted, and blackened. In the past 16 years, we have implemented many services in order to improve the quality of life of our people, but unfortunately we have not succeeded in avoiding this heart from desertification. Erdoğan said that they were trying to pin the Turks through the concept of nomadic at the beginning of his speech, Some of them try to pin our nation on the concept of nomadic. However, we are not just going from one geography to another, but at the same time, we are a nation that has abated every place we have settled. Erdogan, who warned the Minister of Environment and Urbanization, said: Murat, watch out accordingly. We say that there is no vertical architecture, horizontal architecture. First, the mosque, then the social reinforcement areas, then there is the continuation of environmentalism and construction. This is the AK Party's environmentalism, urbanism, he said. When we look at the symbol cities of civilization, he said that they did not only build it, they worshiped, and said, We see human centered spaces in accordance with his imagination. Our greatest loss is that we have not had enough of our cities where the splendor of architecture and the spiritual depth and humility come together at the same time. I think we are still not fully aware of the ancient heritage we have in the space and culture production which is the material element of civilization. In the last 2 centuries, we have not only lost our political and military superiority, but also the cosmic imagination of our civilization, the yeast of our culture, the spirit of our cities. in the form of. In The uniformity experienced at a global level in all areas has abolished our power from our differences, Erdoğan said. ”Used the expressions. Erdogan said, Buildings have risen, roads have grown, vehicles have modernized, infrastructures have developed, but our hearts have become deserted, and blackened. In the past 16 years, we have implemented many services in order to improve the quality of life of our people, but unfortunately we have not succeeded in avoiding the hearts from desertification.